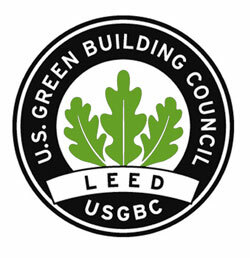 Liphart Steel understands the importance of LEED certifications on all of its projects. All Project Managers as well as our Purchasing Manager have been to LEED project specific training as well as AISC sponsored seminars regarding USGBC LEED Building certifications as applicable to steel. We have experience on projects which are attempting to achieve all different levels of certification (silver, gold, platinum). We understand with the highest recycled content of any material, structural steel, can make the largest contribution to a LEED rating in the Material and Resources Category. Therefore, Liphart Steel has implemented a LEED material tracking system to ensure that material tracking information is gathered per project and provided to our customers to achieve their goals.